Hobnail design provides effective soil removal. Low profile allows easy door clearance. Easily maintained by vacuuming and periodic extraction. An economical solution. 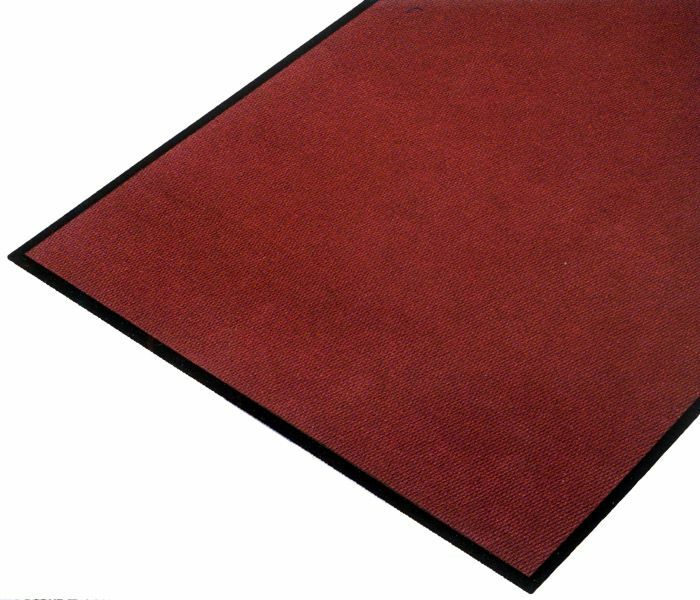 Loose lay in medium, multi-directional traffic entrances, vestibules, lobbies, hallways and elevators. Colors available are gray, sand, maroon, charcoal, blue/gray and forest green. 2'x3', 3'x4', 3'x5', 3'x10', 4'x6', 4'x8', 4'x10'. 3", 4' and 6' widths by custom lengths to 60' are available. 100% solution-dyed UV stabilized polypropylene fibers. 24oz weight, 3/8" thickness, non-staining vinyl backing.